Today linoleum can be seen everywhere. In cafes and supermarkets, hotels and kindergartens, office buildings, hospitals and schools. This floor covering is appropriate in almost every room. Our apartments and houses are no exception. After all, this material is not only cheap, but also durable, and also has excellent thermal insulation and noise protection characteristics. In addition, linoleum shines with a wealth of colors and patterns, organically fitting into the design of any apartment. 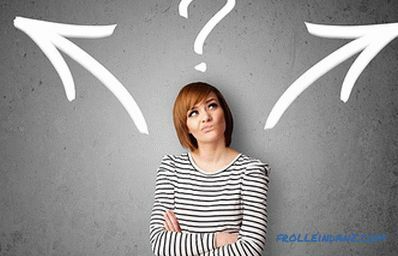 Even a professional builder has a hard time deciding on the final choice, and what about ordinary citizens. To make it easier to choose, we will tell you how to choose linoleum, what distinguishes the main varieties of linoleum from each other, and describe in stages all their operational characteristics and selection criteria. When this floor covering just appeared, it was made of oils, flax and tar. But over time, when the production of linoleum expanded, so many natural materials just physically had nowhere to take. And the floor covering made of them was short-lived. It was erased too quickly, and could eventually stretch significantly. Nevertheless, linoleum became more and more popular, and it became necessary to replace its natural components with artificial ones. And then polyvinyl chloride, or PVC, became the basis for this coating. Linoleum is produced from it to this day, and in America and Europe this type of flooring is called PVC coating. Not only linoleum is made of this material - it is widely used in the medical industry, as well as for the manufacture of toys and many other items. Products made of polyvinyl chloride can be produced according to different technologies, on which their safety depends. The hygienic certificate, which is mandatory for PVC coating, indicates that the material is harmless. PVC linoleum is the most represented on the market and it is also used most often as a floor covering. Therefore, further it will be about the choice of this type of coverage. A homogeneous structure is characteristic of homogeneous linoleum. It consists of a single layer, the basis of which is polyvinyl chloride. In the production process, quartz sand and lime are added to PVC, and their share can vary from one-fifth to four-fifths of the total composition. Naturally, with an increase in the share of fillers, linoleum becomes cheaper, but its quality leaves much to be desired. After all, when we walk on the floor, putting it under load, quartz grains of sand gradually fly out of the linoleum, leaving small holes. In addition, sand, like sandpaper, erases the floor covering, which can wear out quickly. Linoleum has several heterogeneous types of layers, and each of them performs its own specific function. The bottom layer, called the substrate - it serves to protect against pushing, softening shocks and other loads. The basis of the construction of heterogeneous linoleum is fiberglass, which adds elasticity to the finished product and does not allow it to deform. The next layer is decorative, it can have a wide variety of colors. They are both monophonic and patterned, including imitating the texture of wood, metal, stone and other materials. The topmost layer is PVC without impurities, due to which linoleum does not abrade. Heterogeneous linoleum in a cut. # 1. 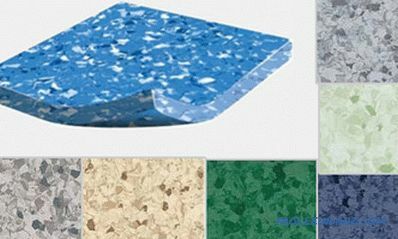 Linoleum of a household type is not very resistant to abrasion, but its colors and patterns are very diverse. By purchasing such a flooring, you can make a cheap repair, which will look quite expensive and stylish. If it is supposed to sell or rent an apartment in the future, then it is quite reasonable to opt for domestic linoleum. It is also not bad in those rooms where not very many people go - in the bedroom, for example. But in the hallway or kitchen, he will not serve for a long time, and it is better not to lay him in these rooms. # 2. 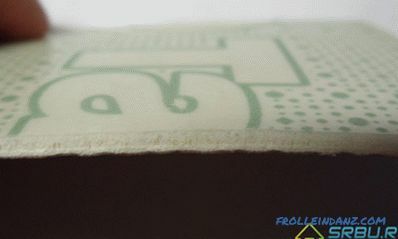 Linoleum of the semi-commercial type is stronger than the previous one. It also differs in wide color scale, and perfectly will be suitable for a floor of kitchen, a corridor or a drawing room.That is, where people constantly walk, there are massive wardrobes, furniture on wheels moves, and sofas and chairs stretch. # 3. Commercial type linoleum is most resistant to wear and abrasion. Moreover, this flooring can be both multi-layered and single-layered (homogeneous). In order to choose the right linoleum, which for all properties will fit 100 percent for specific conditions, it is necessary to understand not only the domestic, but also its European classification. In Russia, it is also supported. intended for production premises (figure 4). Next comes the figure (from 1 to 4), which means how much a given linoleum can withstand. 4 - says that the strength of this coating is very high. In order to choose linoleum, it was very easy, the Europeans came up with drawing on rolls with linoleum, besides these figures, pictograms depicting little people near the house. According to them, one can understand that linoleum is perfect for a large family, where in the first place is 3, and in the second - 1 (31 classes, and not lower). Class 23 can be put on the kitchen floor, provided that the family is small. Well, for a sleeping room is suitable linoleum coating class 21. Icons indicating the durability and operating conditions of linoleum. If the cost of two types of semi-commercial coating differs, say, twice, then this means that they differ in something else. Most likely, a group of abrasion. What kind of indicator is this, and should we pay attention to it when deciding how to choose linoleum for the house? The abrasion group shows how quickly linoleum wears out. It conforms to the European standard EN660-1 and is calculated as follows. Take a moving abrasive wheel, which put a piece of checked linoleum. The circle must make at least 25 thousand revolutions. After that, measure how much decreased the thickness of the sample, and draw the appropriate conclusions. If there are no impurities in the linoleum, it is erased by no more than 0.08 millimeter. 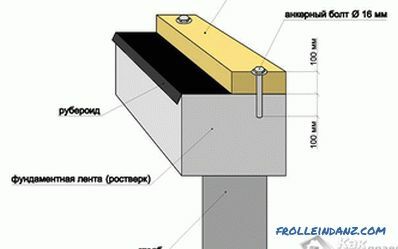 He is assigned a group of abrasion - T.
If the sample thickness decreases from 0.08 to 0.15 millimeter, then the average wear resistance is the group - P.
When erasing linoleum on an abrasive disc from 0 , 15 to 0.3 millimeters wear resistance group is defined as M - low resistance to wear. Group - F is assigned to samples of linoleum, which are ground with abrasive from 0.3 to 0.6 millimeter. This material is quite fragile, and there are a lot of impurities in it - obviously more than 65 percent. These impurities, as mentioned earlier, are a mixture of chalk and quartz sand. Therefore, homogeneous linoleum often have low resistance to wear. But heterogeneous samples, having a pure polyvinyl chloride as a protective layer, perfectly resist abrasion. Therefore, their durability group, naturally, is the highest - T.
When choosing a homogeneous type of linoleum, necessarily study all its characteristics. One of the most important indicators is the abrasion group. If the manufacturer preferred to keep silent about it, you should think about whether to take such a suspicious product. It may be that it will serve very, very short time. So, for example, you can cheaply buy linoleum 43 class, which does not specify the group of abrasion. As a result, the floor will constantly scratch, and after a year it will turn into something completely unattractive. commercial linoleum - more than 0.6 millimeter. The substrate can be foamed or so-called felt. The denser the base of linoleum, the better it resists the pressure of the legs of heavy cabinets and chairs, the fewer dents left on it from female heels. 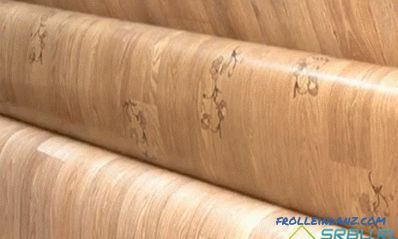 You can determine this by weight: solid and massive rolls usually speak of a quality substrate. But to be faithful, it is still worth checking out by touch. To do this, simply press your finger on the substrate. If you feel that it springs at hand, without being forced, then this is quality linoleum, which is worth buying. A good substrate not only determines resistance to impact and pressure. It allows you to save heat and muffle extraneous noise penetrating the apartment. The thick foam at the base of the linoleum results in a fairly warm floor. 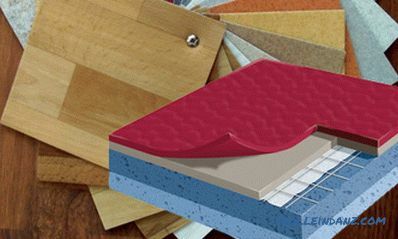 Its low density increases the noise insulation and thermal insulation properties of linoleum. However, in any case, it is good if there is a foam base, especially thick enough. This will hide some irregularities of the base, on which linoleum spreads. A felt pad can be a little better able to resist the pressure of the legs of very heavy cabinets, heels of shoes and other objects. Foamed substrate of semi-commercial linoleum. # 1. If the flooring is chosen for the kitchen, then it is necessary to look not only at the resistance to wear, but also at what thickness the protective coating is provided for. If, in addition to transparency, there is also a lacquer layer on top (it is usually applied by reliable manufacturers), then it will be much easier to remove such a floor - because the dirt does not penetrate the structure of the coating. Depending on preferences, you can choose either a matte or glossy lacquer coating. Glossy linoleum gives the impression of just washed, that looks very neat, especially in the kitchen. # 2. In a room for a baby or in the same kitchen, an anti-bacterial coating on linoleum will not be superfluous. It is completely harmless and does not contain chemical additives. The destruction of microbes that multiply on the floor occurs by means of silver ions, which are released when moisture gets inside the antibacterial layer. This moisture is taken directly from the surrounding air. # 3. It is good if there is an icon in the form of a zipper on the linoleum coating. The absence of it means that after someone's legs have walked along the linoleum, it accumulates static electricity. That is, does not have antistatic properties. # 4. The icon in the form of a wheel indicates that on this floor covering you can safely move the furniture on wheels - chairs, armchairs, bedside tables. Otherwise, it is better to refrain from such actions. # 5. There is also the "warm floor" icon - if you plan to install floor heating in the room, you should always look for linoleum with only this icon. Thus, having carefully studied the icons on the linoleum label, you can learn a lot of new things, and then correctly choose the very good linoleum that is ideal for your home. In order to lay the linoleum as easy as possible, the manufacturers have provided for a range of sizes of its standard width. This facilitates the choice of linoleum for an apartment, allowing you to purchase just as much material as you need, without overpaying for extra centimeters and not cutting them. It is even more difficult to weld or glue individual pieces, if linoleum is too narrow. The width of the rolls usually corresponds to the width of the rooms in the houses. Today in building stores you can find a linoleum coating with a width of 1.5 to 5 meters, in increments of 0.5 meters. Although some manufacturers prefer to produce only two-meter and three-meter linoleum - after all, these two widths are the most popular among buyers. As a rule, in most apartments in modern houses, you can get by with one or another option - the coating will lie flat and you will not need to join individual pieces. More recently, linoleum was laid like this: it, like a carpet, was spread on the floor and allowed to rest for a while. After shrinking, they pressed it with baseboards. Modern linoleum shrinkage does not give, so do not need to purchase them with a stock, and then follow. What is the width of the room, exactly the same width and linoleum coating is necessary to choose, without any allowances. When you measure the floor of a room, do not forget that almost any room has niches and protrusions formed by the entrance doors or the window sill. It is necessary to take into account and measure the width and length of the floor, not just from one wall to another, but considering these niches. Correct measurement of the room. 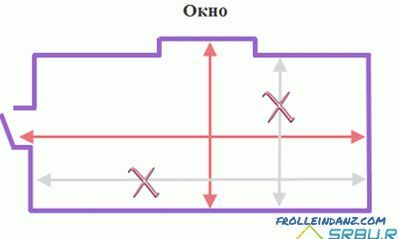 Do not forget to make measurements at the beginning and at the end of the room, because in Soviet-built houses the distance difference at different ends of the room can be up to 10 cm. After you measured both sides of the room, you need to decide on how much linoleum you need, and it can be: 1.5; 2; 2.5; 3; 3.5; four; 4.5; 5 meters. In most cases, you will have to trim a little linoleum in width. The length of the room, take the exact, up to a centimeter. If you have a 1.9 m / 5.34 m corridor, you must take two-meter-long linoleum, 5.34 meters long. If the room size is 2.9 m. / 3.3 m., then you need to take three-meter linoleum, 3.3 meters long. When the shape of a room is complex, having many projections and niches, you first need to draw its plan. Measuring the dimensions of the widest and longest part of the room, you can take the linoleum of appropriate width and the required length. Further, according to the plan, it is necessary to cut all the grooves on this piece of floor covering. If this method cannot be used, in this case an abstract pattern will help, which hides all the joints that can be arranged in any order. The perception of the design of the apartment as a whole depends on the colors of the floor covering. For example, cold colors create one impression, and warm ones - completely different. You can experiment with various ornaments and patterns - in general, there is plenty of room for the flight of fantasy. As a result, you can get and sweet, such a cozy room, and a strict official office. It all depends on the goal. It is necessary to take into account both the purpose of the room and the design of the rest of the interior. Here, for example, making out the floor in the bedroom, it would be appropriate to apply soft tones of warm colors. It is beige, milky, cream, coffee. You might want to lay a floor in this room that imitates marble or wood — that would be nice too. Or you can buy linoleum with intricate patterns - and it will look beautiful. The flooring room for a baby should not be made gloomy and sullen. Funny colors, funny drawings, cute patterns will surely please your son or daughter. In such a room and the mood immediately rises. If the room is quite small, you can visually enlarge it by drawing on linoleum. In this case, choose a pattern that looks like a small tile, or some diagonal pattern. If you want to emphasize your beautiful new furniture, choose linoleum with an abstract pattern. When we consult with the seller what linoleum is better to choose, of course, ask him about the best brands. After all, everyone wants the floor covering to be of high quality, safe and environmentally friendly - it is assumed to live with it side by side for a long time (ideally). Next, we list the most reliable manufacturers producing linoleum that meets all these requirements. The Tarkett brand in Russia enjoys well-deserved popularity. After all, this linoleum is very durable, durable and beautiful, and a variety of patterns and colors pleases buyers. Separately, it should be said about the environmental friendliness of this material - therefore, people who care about their health often choose it. It is also well suited for kindergarten or hospital. The IVC linoleum brand, produced by one of the divisions of the Balta Group concern, also has excellent characteristics. It can easily compete with the products of the previous manufacturer (by the way, this linoleum is also environmentally friendly). Slovenian company Juteks almost all linoleum produced (more than 96 percent) sends to Europe. Russia also sells this high-quality material, which is highly durable. After all, the top layer of this flooring is quite thick - at least 8 millimeters. Commercial linoleum - protective layer more than 0.6 mm. Commercial - office and industrial premises. Felt - has thermal insulation, can hide very small irregularities, more resistant to furniture legs and heels shoes. Sheet size 1.5; 2; 2.5; 3; 3.5; four; 4.5; 5 meters - will depend on the size of one side of the room.